Our Story | Natural Patches of Vermont, Inc. 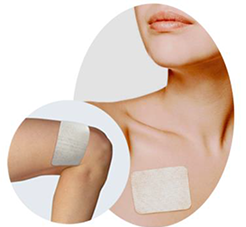 Originally founded in 1999, Natural Patches of Vermont and our unique body patches are the brainchild of entrepreneur and ex-professional drag racer Hurley Blakeney. Following a high-speed racing accident in the summer of that year, Hurley sought respite from the resulting pain and, to this end, tried a variety of OTC ointments and lotions. The greasy residue and overpowering smell of these products made them impossible to use. A visionary with an extensive medical products background, Hurley embarked on a project to apply advanced hydro-gel technology and manufacturing processes in order to create body patches that are infused with ingredients similar to those found in OTC balms and liniments. By encapsulating the desired compounds into gels, one could enjoy the benefits while avoiding the greasy and odorous nature of existing products. Possessing a strong interest in natural remedies, and noting an absence of reliable products in the marketplace, Hurley commenced development of patches that contained infusions of natural components. Given the inherent beneficial properties of Essential Oils, and the comfort that these oils could provide in specialized patches, the combination was obvious, and Natural Patches were born. Company associates, friends and colleagues praised the benefits of Natural Patches, as did health spas, massage clinics, therapists and others who tried the initial products. 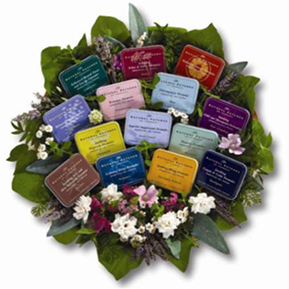 By early 2000, Natural Patches of Vermont offerings had expanded to a line of six new aromatherapy body patches. Over the years the line has grown, and now includes a range of essential oil formulations, intended for a variety of common issues & discomforts. On August 28, 2011 Tropical Storm Irene roared through Vermont, carving out a path of destruction, which included the flooding and destruction of our former Natural Patches facility. Refusing to accept defeat, with the aid of our dedicated employees, family members and friends, we regrouped and relocated to our present location in Bellows Falls, VT. Since our inception, Natural Patches of Vermont has been committed to working with alternative care providers, natural products retailers and health spas. Our goal is to provide comfort, peace and satisfaction for all individuals and to health professionals who are seeking user-friendly, natural aromatherapy alternatives to enhance their lives.